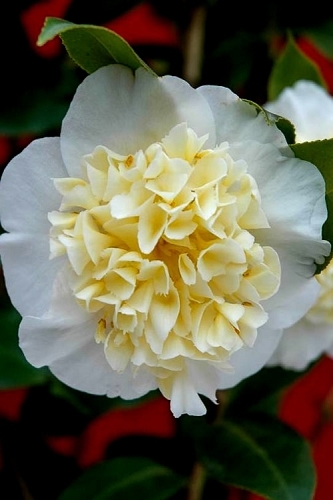 The 'Dixie Knight Supreme' Camellia sports one of the most unique and impressive flowers of any C. japonica on the market today. 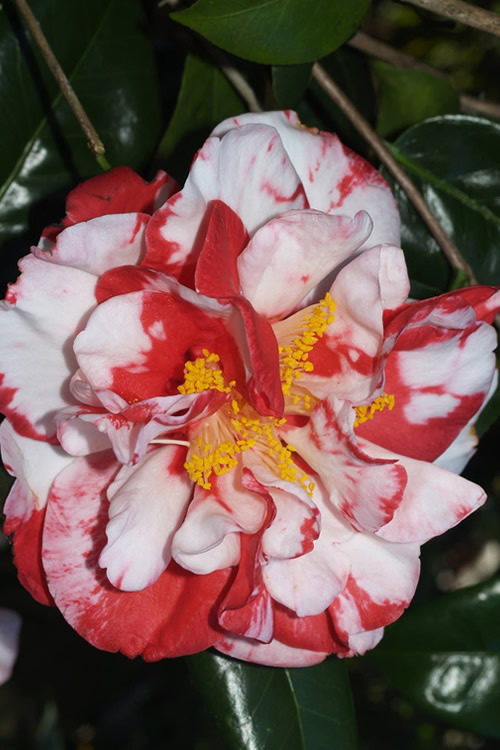 Very large, 5 to 6 inch wide double flowers are brilliant deep red and speckled, blotched, and splashed with white variegation in random patterns on the petals. 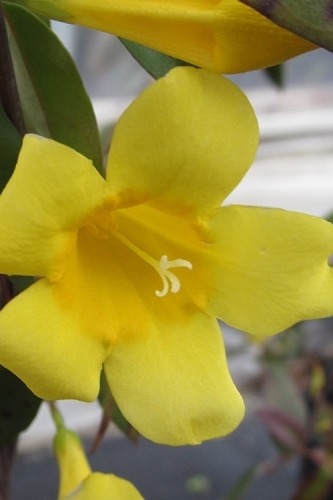 Bright yellow stamens will be noticed peeking out from the center. 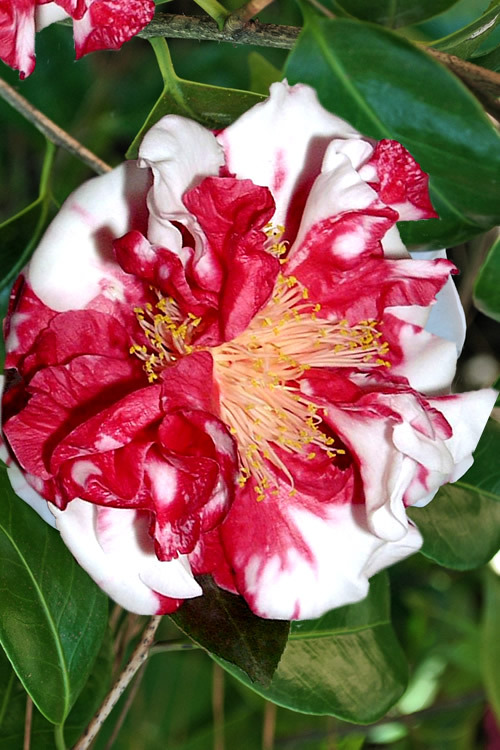 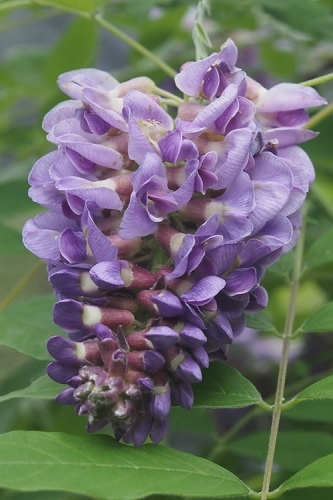 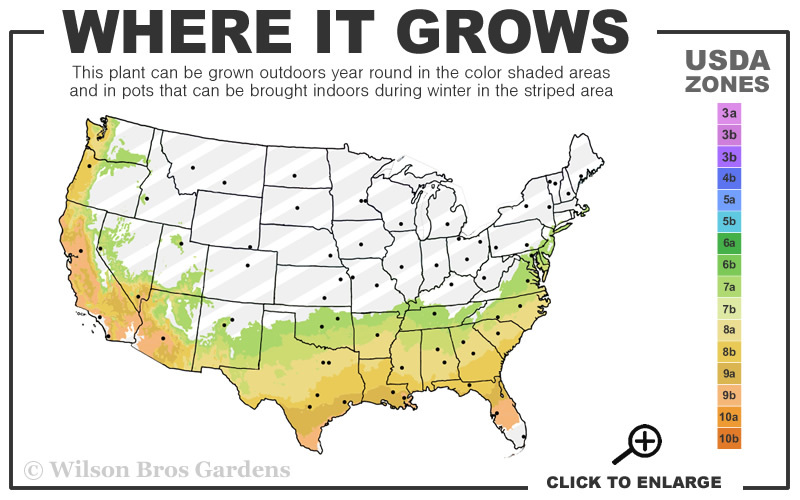 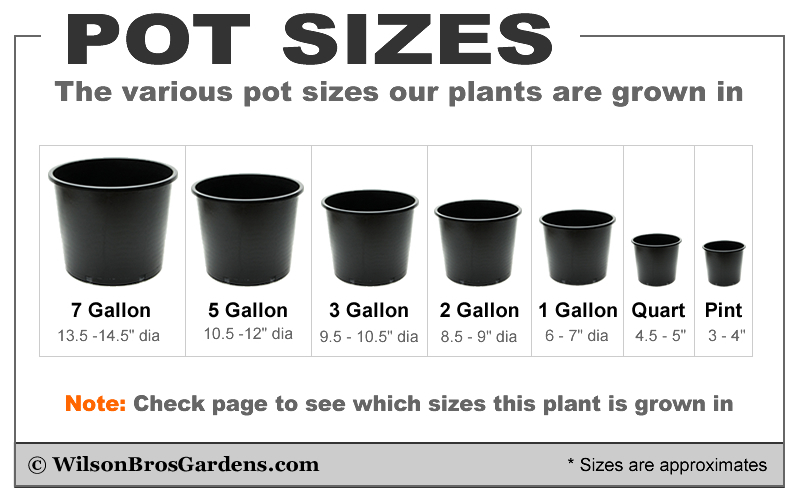 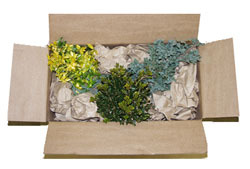 The large, glossy, dark green leaves are the perfect backdrop for the magnificent flowers. 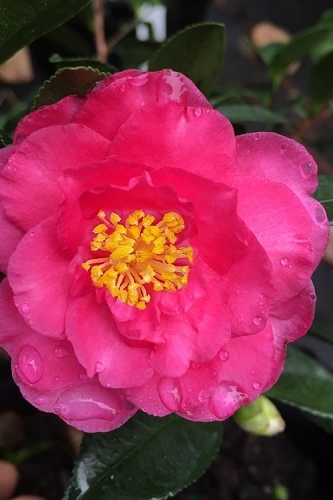 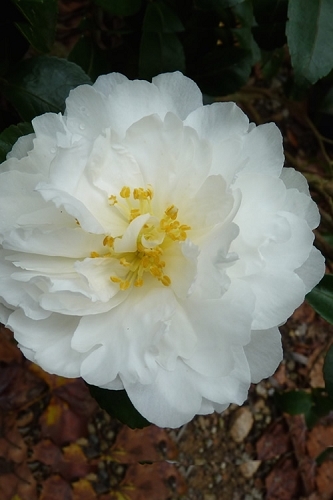 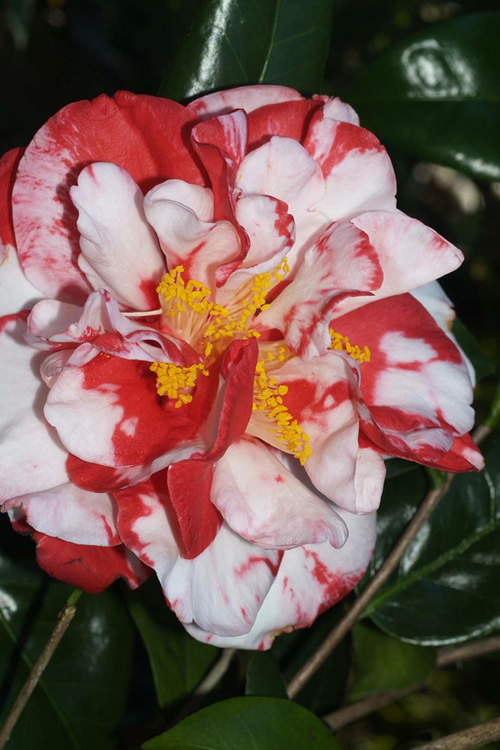 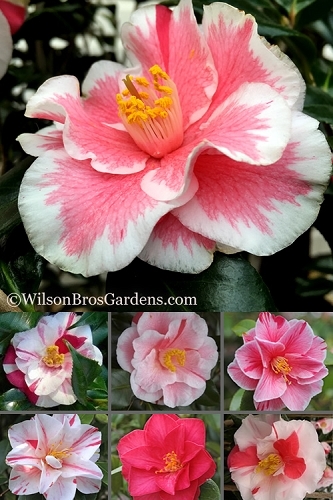 This rare Camellia is a true garden jewel!